I have been doing Special Olympics since I was in 5th grade, about 10 years old. Since then, I have been hooked! Special Olympics helped me to travel from north to south across the state and even overseas. In 2003, I was nominated and went to Ireland for the World Summer Games. What a fun time, one that I will never forget! 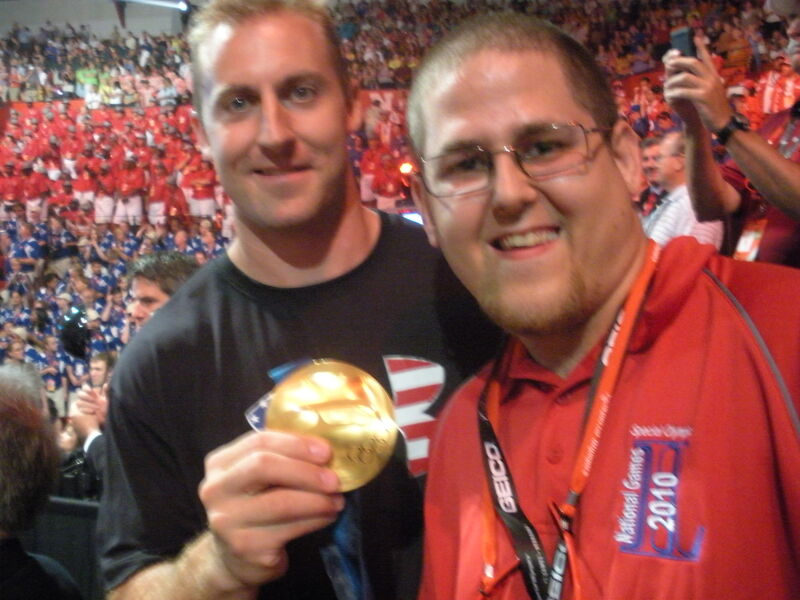 Eric Baumann met many celebrities at the 2010 National Games, including members of the Olympics bobsled team. When I first started, I never thought I would be close to earning more than 100 medals. I got to serve on the Special Olympics Illinois Board of Directors for three years . I become a coach, and volunteered at various Areas and states, and even the 2010 National Games. I am doing about everything in Special Olympics I can and just love it! 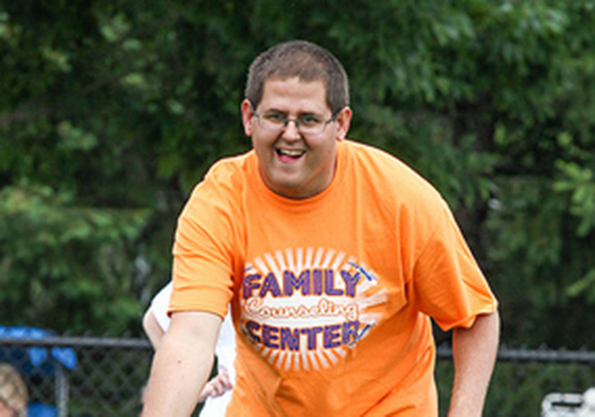 Special Olympics transformed my life by helping me become a better athlete. I have learned to help out on a team, inspire others to do their best, never give up on good sportsmanship and always have fun. Special Olympics helps me to express myself better, to improve my self image, to learn to set goals and even to live on my own. To Special Olympics, thanks for helping me become a winner! Thank you for helping to transform me. I have become a better person because of Special Olympics.